Posted on February 8, 2014, in Reiki and tagged Distant healing, Facebook, Global event, Healing, Healing experience, Reiki, Spiritual, World Reiki. Bookmark the permalink. 16 Comments. By the way, we attuned our boys too and are, like you, a happy Reiki family! Our youngest is at Level I and our teenager is at Master level. I believe Reiki healing is something EVERYONE should learn (or I should say re-remember)… And your story about being Reiki’d by such a large group is awesome! We do a group Reiki at Reiki shares but that is only maybe 8-12 people Reiki’ing someone, not thousands. That is amazing! I found your lovely blog by searching for images on Reiki and I LOVE the photo / painting of the Reiki hands with the heart and angels. 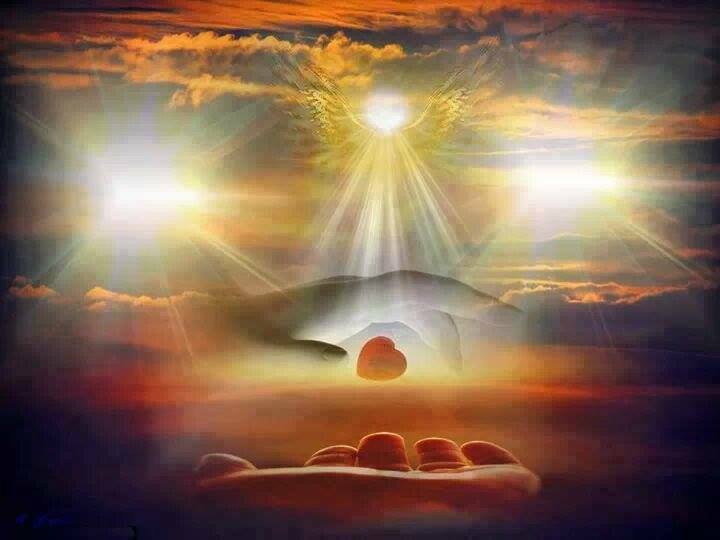 I am a Reiki Master and teacher and also an angel channel. 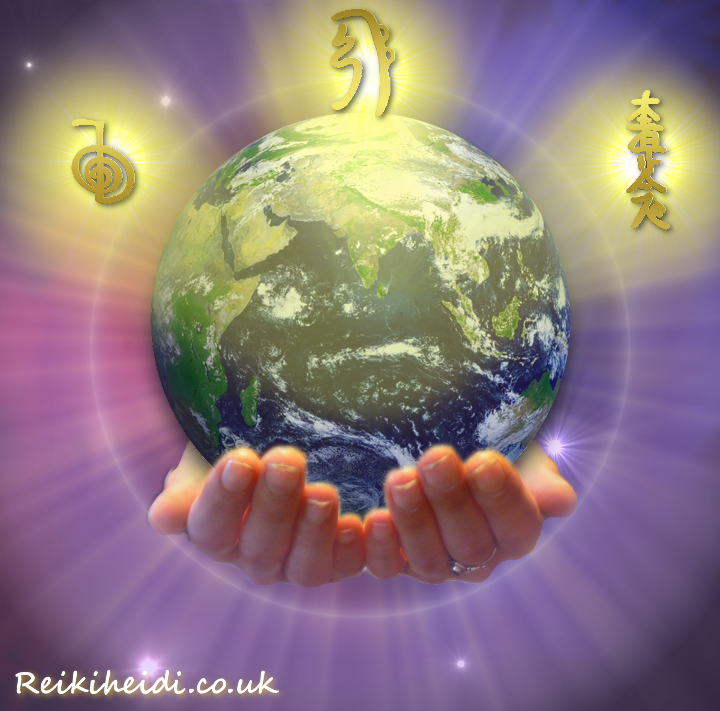 Would it be ok to have this image on our Reiki website? I’m happy to post a link to your blog, or would there be an artist to credit for the image? Thanks so much and by the way, you are a very good writer. Our Reiki website is http://www.MysticLightReiki.com if you would like to check it out. Reiki flow and bright blessings to you, Heidi! Wow…that sounds like such a wonderful experience! I don’t know Reiki but have the book on Quantum Touch waiting to be read for my course. Maybe even without knowledge of Reiki, just knowing and allowing healing energies to flow through will help as well? PS:I liked the page on FB 🙂 Thank you for sharing! But can I ask for some advice please? Last week I gave a visitor a 10 minute session on a gouty foot, because it was causing them pain. The pain lifted and they booked a full session. They’ve cancelled now though, saying not only did the pain return, but much worse than before. Question is, could the Reiki have shifted a blockage, causing more pain than before? I’ve offered the 2nd session again when he’s feeling better, but really don’t want to hurt him any more, or charge him for a proper session if it’s going to make things feel worse for him! * Have shared this post on that Facebook page. Hope you don’t mind; wanted them to know just how powerful the experience had felt for you. Yes, I’m following them as well now. Hi Shanti, apologies for delay in getting back to you. Regarding this – my partner & I are both Reiki healers & obviously Reiki each other when needed. Although I have never had this with a client, I have experienced myself, when my partner has done Reiki on a physical injury on me, that sometimes the pain becomes more intense… what’s happening is that the Reiki is clearing the injury & in doing so, I believe it is moving the pain to the surface to be ‘pushed out’. It should clear and remove completely, but with some people/healings, it does seem that it can make the pain worse as the healing works to clear it out. Hopefully the gentleman in question will have found the pain gone by now. If you have his contact details, it may be worth a ‘courtesy call’ to him to ask how he is doing, checking that the pain has gone, and on guaging his reaction, maybe explain this process to him? 20 yrs worth of Gout is a lot of energy to shift, so maybe small & often sessions would be the way to go, if he is amenable to receiving more… which I hope he is! Thank you, no apology needed, I’m not the quickest at replying there is. But your answer does make sense. I know that Reiki does bring things to the surface to be cleared, so it figures this would happen with pain as well. I just hadn’t thought of it like that. I’ll give him a call and offer some follow-up sessions and explain the process. Brilliant! Good to know it was all part of the healing thing. Glad to be of help 🙂 I hope he understands. Yes, well he’s a bit sceptical, but I think this chap will listen with an open mind; and then we’ll see…. I am thrilled for you that you had such an overwhelmingly transformative healing experience. Thank you for sharing it with us. We can create so much powerful loving energy collectively. Yes, we certainly can! It is an ‘enlightening’ experience!